"What do you see are the advantages of working with Andre Rieu," I ask. "The advantages are that you sing before 30,000 to 40,000 people. We have direct contact with the people. If you play a role in an opera, you are imprisoned by it and cannot look into the eyes of your audience. Due to the requirements of your role, there is a sort of barrier, and therefore you are not free. 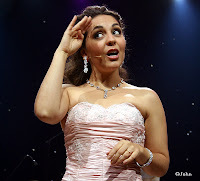 During performances with André Rieu, I sing for the audience and can be pro active with my eyes and am able to display expressions. Many fans say it's like mass hypnosis. The eyes speak to the people and they feel better connected as if they are part of the "show family". People go home happy and what more could you want? 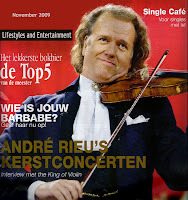 André Rieu Switches To Pop??? 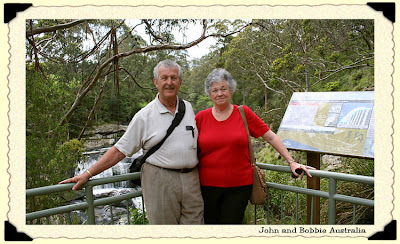 Beate has posted this link on the Guestbook, but it will soon get lost off the page there, so I'm adding it here also. 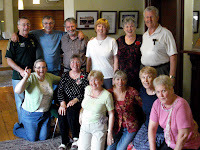 Click on the link below to read the article that Beate posted from the magazine ... Thanks Beate! The Performance will be aired on ITV1 in England December 13th. And for the first time a CD will be released of the event in England. Below is the lineup of all the people who will be performing. A ►Fun Video To Watch when you're taking a break from all that Turkey! Who am I ... My name is Marc Rieu and I was born on November 1, 1978 in one of the most beautiful cities of the Netherlands ... Maastricht! My passion for painting arose in the Vincent van Gogh year, 1990. It was in connection of a extremely fascinating television documentary, shown during the last year of my primary school. After that I only had one wish: after my secondary school, I would love to study art history at the university. 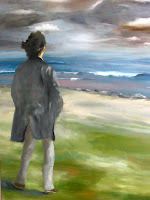 Click on the links below to see the New Page that Sonja has made on her Website of Marc Rieu, plus Marc's Website with all his paintings and Marc's Facebook. 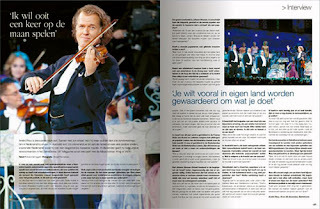 André Rieu again says, "One Time I Want To Play On The Moon." "Ik wil ooit een keer op de maan spelen"
"ONE TIME I WANT TO PLAY ON THE MOON"
Question: Do you also have hysterical women after you, just like the Rock Stars do? André: "No, I have male and female fans who behave very well. I admire them, because sometimes they wait a long time for me after a concert just to get an autograph, even when the weather is bad." Question: Besides being an excellent Musician, you are also an Entertainer. Have you always been an Entertainer? André: "I don't see myself as an Entertainer. I am a Musician who wants to make classical music accessible for a large audience and I do that in my own way. I don't stand with my back to the audience, I talk to them and I joke a little. That makes the atmosphere more relaxed than in traditional classical concerts. I like to surprise my audience. That is probably what you call entertainment, but in the end, it is all about the music." Question: You compare playing the violin with a relationship to some one you love very much. But every relationship has it's ups and downs. Do you also have that with your violin? André: "No, that is the only difference. We never argue and we always love each other." Question: In the beginning the JSO had 12 members and at present there are over 50. Critics say that the Big Show around you is responsible for your success and you should more or less disappear to the background. André: "I don't think so. We have success because we make the Classical Music accessable for large audiences and the larger the audience, the bigger halls we need and with more musicians.The wonderful thing about my orchestra is that we feel like a big family, and we have fun together on stage. That's part of our success, for that is what the audience hears and sees." This is an article of singer Katherine Jenkins who just released a new CD on Friday and has a song on it with André. I thought it interesting and it's a beautiful song. There's a link below to hear a bit of it. KATHERINE Jenkins is the wild child of modern classical music. She's admitted using cocaine, ecstasy and marijuana as a teenager and once said she could have "ended up like Amy Winehouse''. "It's so important to me that classical music is accessible and approachable, because I came from a background where I didn't know anything about it,'' the Welsh mezzo-soprano tells Insider. Jenkins, 29, has sold more than four million albums, signed a $10.6 million contract with Warner - reportedly the largest in classical music history - and made Britain's Sunday Times Rich List. Her eighth album, "Believe", featuring collaborations with "Andrea Bocelli and Andre Rieu", was released on Friday. 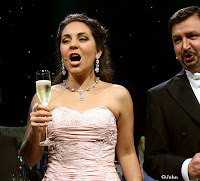 While Jenkins has made her name mining the popular-classical crossover vein, she hasn't ruled out performing straight opera, and she has a big name preparing her for the moment. 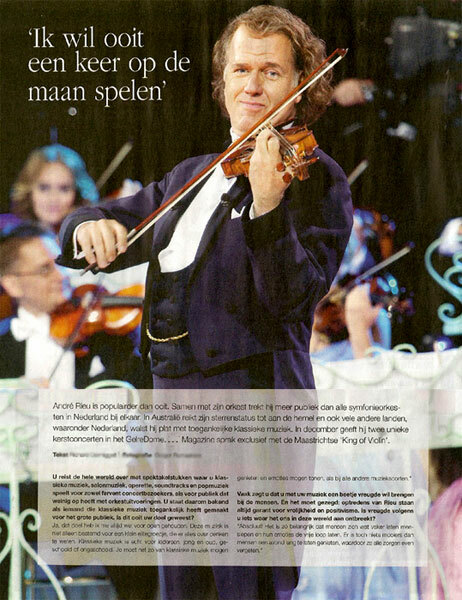 Youngest Brother of André Rieu Created a Children's Book, "Marie"
After having traveled with his brother for six years, Jean-Philippe Rieu decided to continue on his own. André's youngest brother (52) wanted to spend more time with his three children. "I wasn't even a father from a distance any more, I was just distance and not a father ... I did not want to go on like that". 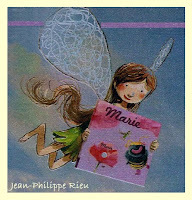 Rieu has also created a children's book about a fairy named "Marie" with an added DVD. It is about dreams and pure friendship. The book arose out of the stories he used to tell his children at bedtime when they were little. Jean Paul (17), Roos (14) and Jerom (12). The name Marie was chosen for the book because all three of his children have Marie as a middle name. Rieu talks about his (and André's) mother,"She is 89 years old, lives very close by and we see her often ... the children prefer to go to her home to study in a quiet atmosphere for their exams. She is very alert, still lives on her own, and last summer she drove by herself in her own car all the way to our house in France." 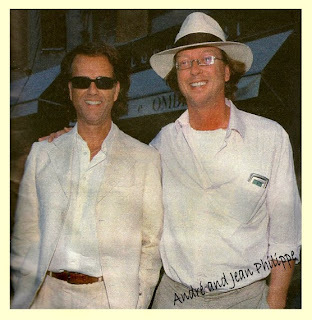 Of his family, Jean-Philippe says, we consisted of six children, of which four of us became musicians. Thank you to Ineke for translating and sending this to us. 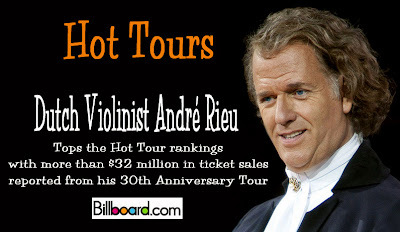 Dutch violinist André Rieu tops the Hot Tour rankings with more than $32 million in ticket sales reported from (Aug. 28 to Nov. 1) on his 30th Anniversary Tour currently on the road in Europe. Totals from venues in Australia, New Zealand, Germany and the Netherlands were reported during the past week with the highest-reported gross coming from the Amsterdam Arena. With ticket sales topping $10 million from two shows, Rieu and the Johann Strauss Orchestra played to 55,502 of his native countrymen. 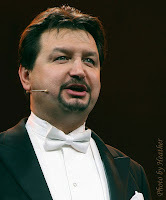 The Classical artist has been touring throughout the year and ranks as one of the top-grossing tours of 2009. 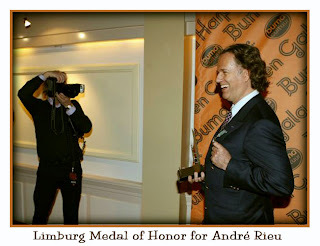 Limburg Medal for André Rieu MAASTRICHT ~ André Rieu, on Tuesday received from the province of Limburg, the medal of honor with accompanying certificate. Rieu received the medal of honor for his merits as a Musical Ambassador for Limburg. Governor Leon Frissen presented the award in the studio of the Rieu Group in Maastricht. The Maastricht Citizen is celebrating his 30-year anniversary as a musician. 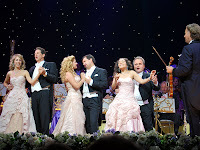 The great breakthrough of Rieu and his Johann Strauss Orchestra took place in 1994 when the Second Waltz became a huge success. Frissen called Rieu a gifted musician, violinist, conductor, arranger and entertainer, but also an entrepreneur with guts to make his dream a reality. "He represents Limburg Nationally and Internationally in an excellent manner. No other Limburger comes even close to him in this very special way'', said Frissen. 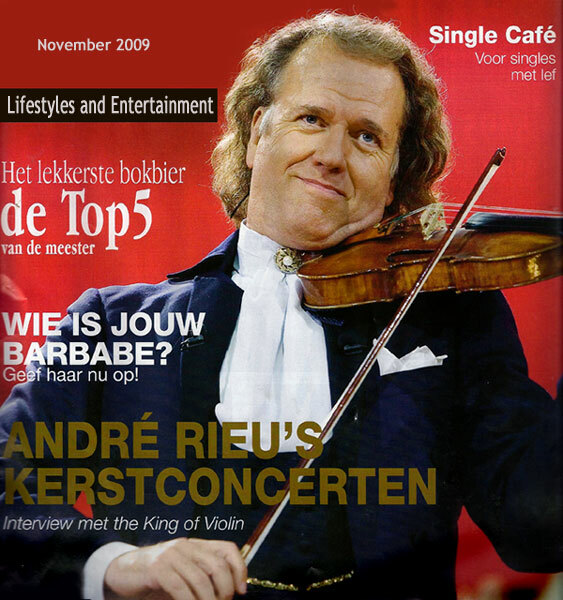 Rieu and his orchestra travel around the world and sold millions of CDs and DVD's. His production company has approximately 150 employees with a turnover of tens of millions of euros. (Reuters) ... Thanks to John for the Translation! "André’s Australian Adventure" now available as of November 6. A film crew captured the month long journey of the spectacular André Rieu World Stadium Tour, complete with a life size replica of Schoenbrunn Castle and sold out concerts across Australia and has condensed this into five 25 minute fun filled episodes. Airing on prime-time TV in Holland, this series was the most watched entertainment program in the Netherlands earlier this year. Now for the first time, André invites Australians to join him on this special behind the-scenes journey, from the moment he lands at Melbourne airport through the entire tour. Witness the backstage fun, the tears and a very large group of Europeans adapting to a hot Australian Summer! And look closely, because if you were at any of Andre’s Australian concerts, personal appearances or functions, you may well appear in this DVD. 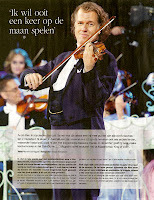 Release in December comes ‘André Rieu – Live In Sydney’. 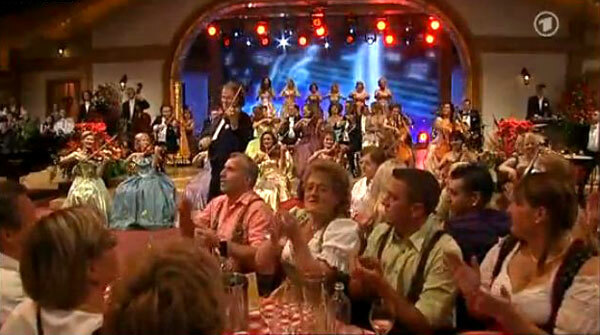 Filmed in October 2009 during Andre Rieu’s triumphant Australian return, this DVD features all of André’s famous trademarks – glorious music, beautiful costumes, enthralled audiences and plenty of wonderful surprise guests including Australia’s best-known radio personality Alan Jones and the first lady herself, Dame Edna Everage. The music from ‘André Rieu ~ 'Live In Sydney’ will also be available on 2CD. John's been sending me some of his pictures from Australia as he goes through them. I loved these two of Carmen and wanted to put them on here now for everyone to see. We'll put more pictures on soon ... Great Pic's John!! 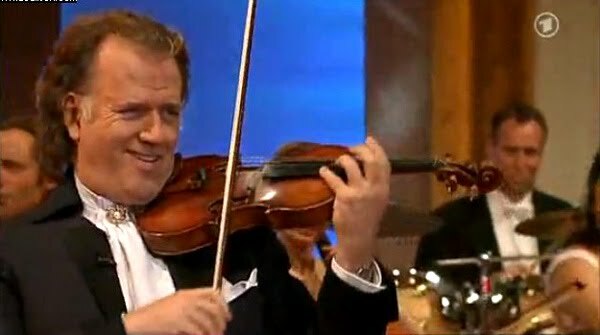 André Rieu's "Romantic Barn" and More!! Early in the year my Aunt asked if I would take her to André's Newcastle Concert, apart from our trip to Maastricht we had no further plans of travelling overseas again so I purchased "A Day with André" tickets for October 19th. We arrived at the Entertainment Centre at 4:30pm to meet up with the rest of our group, a total of 32, around 4.45pm we were ushered into the concert area where André was conducting sound checks with the orchestra, tenors and sopranos and on completion, we were moved to the dining room for a lovely 3 course dinner and drinks (you name it) with Richard Wilkins as the compare, introducing our surprise guest ~ KERSTIN!! Kerstin informed us of Pierre and Eefje's twin girls "Lieke and Linde" being born prematurely on the 13th and had this day been moved. She also advised us that the Schoenbrunn Castles were not going to Brazil in 2009/2010 and would not be used again until 2012 (where?). At 7:45pm we were escorted to our seats for our delightful concert which we have all heard about from many people, so no need to say more. We waltzed to The Blue Danube and later moved down the front for the encores. During ADIEU, I mimicked all the movements of the sopranos which produced laughter from Mirusia, Carmen and several of the JSO members, many comments were made backstage that they had never before seen someone having so much fun!! After the concert we moved backstage where the orchestra were having refreshments. Photos with André was first on the agenda, which of course was one of the highlights of the night. After the photo shoots were complete we all were free to mingle with the orchestra, socialising, chatting and taking photos etc. 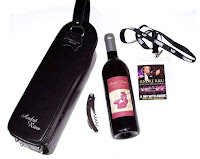 The Mission: I had obtained a large poster of André promoting his CD "You'll Never Walk Alone" at his Mother's Day trip to Sydney, of which I required an autograph. An opportunity presented itself as André was sitting at a table with 8 or 9 of the orchestra members, opposite him was Arthur. Speaking in a low voice I asked "will the boss sign this??" [the poster was rolled up at this stage] I moved to Arthur's side, he asked what did I want signed. Unrolling the poster he pushed it in front of André, and asked "sign this please". André signed it, mission achieved. The next step ~ my concert shirt. I moved amongst the orchestra with my black pen obtaining autographs, this started back in Maastricht with Mireille the drummer being the first, some were reluctant to put black ink on the shirt and others saying "don't wash it", it had already been washed after returning home from Maastricht. Captured almost everyone with the shirt being signed front & back. "ALLEMAAL ANDRÉ ~ EVERYTHING ANDRÉ "
*This is the DVD Set that André was promoting yesterday. It is not released with English Subtitles yet and is only available in the Netherlands so far, but here is the Trailer for it and it's fun to watch! Let's hope it comes out in the Boutique soon with the English subtitles! Click on link to ►Watch Promo Video for "Everything André"
"The Musical Worlds of Linda Custers"
Thanks to Ineke for Translating and Sending this article to us! Photos of André Rieu's Twin Granddaughters! They just showed these pictures on a Dutch News TV Station about 30 minutes ago and Ruud and Ineke sent them to me right away ... Nothing more to say other than ... "SO CUTE!!!" :) ... Click on link to see the ►News Broadcast With Twins Pics on Ineke and Ruud's Site with the English Subtitles put in for us! As we start our preparations for our trip home, I thought I'd get a little line off. We've had an unforgetable trip "down under". Something we will never forget, and we made a promise to return. 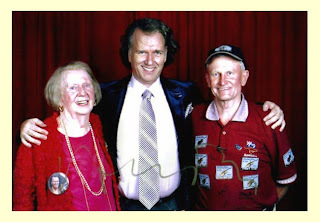 André Rieu Concerts and Friends in Melbourne! It was the best night of all,we clapped and clapped, swayed, hummed and enjoyed every note that was played, again there were many, many couples up dancing to the Blue Danube and then it was "mosh-pit" time and we were off. 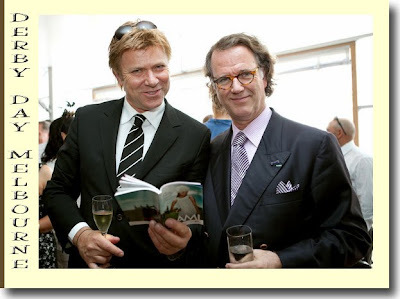 New best mates, Nine's Today personality Richard Wilkins and violinist, composer André Rieu, hung out at the Lexus marquee on *Derby Day. Aside from Bingle, the other big winners of the day were the small faction of NSW Detectives who infiltrated the marquee. Clearly cultured types, they observed violinist André Rieu walking by and politely asked if they may take a photo for their collection. Rieu agreed. However, it quickly emerged Rieu was not quite the fan of Australian customs as his time here might suggest. As the police boys put out their paws for a handshake introduction, Rieu reeled back in what was taken as genuine horror, clenching his hand into a fist so it could not be held. 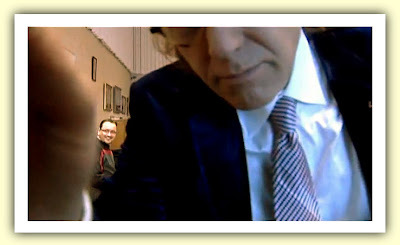 It seems the customary firm Australian handshake is a no-no for a man who plays a $2million (2???) Stradivarius. Perhaps his hands were now bruised from the constant brutal handshaking.